Random Post #7 – Clara & Co.
AHH JUST LOOK AT THAT FACE!! YES! YOU DO. It’s EPIC. Hehe! Good luck… And thanks! I’m glad you liked it! Thank you for commenting, May! This was a wonderfully random post. Oh my goodness that cover!!!! It’s so pretty! A secret page? Cool! I would look for it, but I’m tired right now and need to sleep… Why don’t I go to bed when I should? Haha, thank you! Yes, it is!! I love Fiver’s name. My brother and sister use khan academy, I will have to tell them about Pixar in a Box. You did a great job on the verses and the parfait looks great. 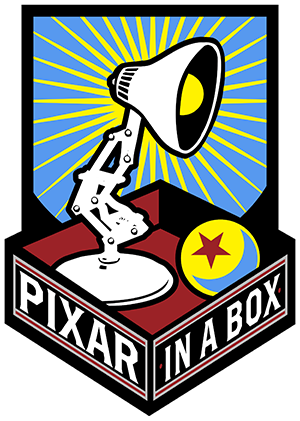 hmmm, pixar in a box, Hazel might be interested in that….. Thanks for your comment, Olive! Aww wow, you got some adorable pictures of Fiver, especially the last two! Ooh, pretty Bible verses! I like making those things too. I CAN’T WAIT TO READ NIGHTFALL! My favorite category… I don’t know! I liked them all! Hee hee! Thank you, Allison!! Fiver was so adorable! Hehe! I’m so glad you enjoyed my post! Thanks for commenting, Allison! Awesome! I love your random posts, and yes. I am preparing myself for Nightfall! Eek! 😛 Your stopmotion was so cool! 🙂 Fiver is adorable. Hypothetically speaking. . . I WOULD LOVE IT IF YOU GAVE AWAY A FREE COPY OF NIGHTFALL!!!!!!!!!!!!!!!!!!! I can’t wait for it to come out! I’m glad you liked the stopmotion! Thanks for commenting, Grace! Wow! I was linked! Terrific random post, as always. Fiver is so cute! He is the same breed as Roxie my German Wirehaired Pointer! O my goodness that dog is ADORABLE!!!! your right it does looks like he’s smiling how cute!😀😁😍 GREAT! job!🖒Clara! Keep up the good Work! Yes, he’s so cute! 😀 Thank you so much, Sarah!